THE Ministry of National Development's decision to cut state land sales for private housing development for the first half of next year reflects official caution about an oversupply building up. Not only has MND chopped supply on both the confirmed and reserve lists but it will be pushing out mostly not-so-hot sites on the confirmed list to prevent benchmark bids from being set and hence pushing up prices of other sites. The industry is bracing itself for record numbers of private housing completions. And with the introduction of the total debt servicing ratio (TDSR) framework in late June, developers' private housing sales have, on the whole, slowed. CBRE estimates that 2013 will end with around 15,000 units (excluding executive condominiums) sold - down from last year's record of 22,197. Next year, the figure is likely to shrink further to 10,000-12,000. With sales down, some developers have started trimming prices. The goal is to launch projects as soon as possible - on fears of worsening sentiment as a housing glut builds up. In the public housing market too, prices of HDB resale flats have begun to soften. If the trend continues, that will clip HDB flat owners' capacity to upgrade to a mass-market private condo. 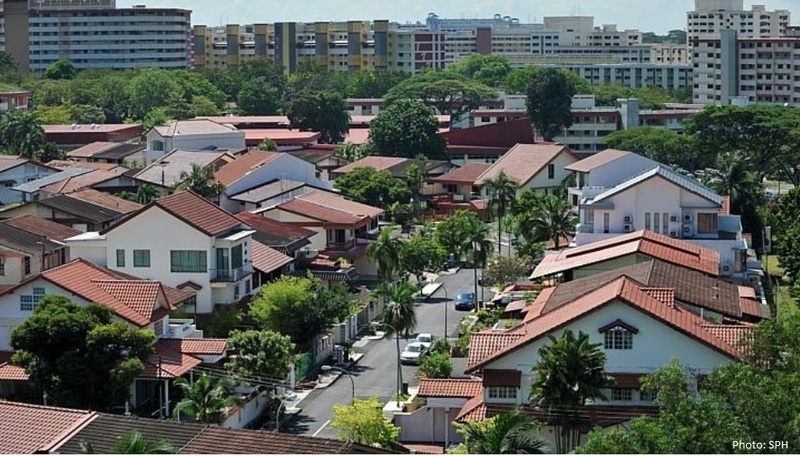 Against this backdrop, there have been suggestions from some quarters that the government may begin to roll back some of the property cooling measures in 2014. However, that may be overlooking some factors that could potentially spark a resurgence in private residential property prices. Firstly, there is no sign that the price of land - the most vital factor of production in property development - is coming down. New market entrants and even some local players hungry for replacement land have been stoking up land bids at government land sale (GLS) tenders. If developers pay higher land prices, they will obviously do their best to sell the projects at higher prices. No doubt, MND will be launching mostly "inferior" sites on the confirmed list of the first-half 2014 GLS Programme, but there are many plum ones on the reserve list that may be triggered and which could result in benchmark prices being set at tender. Savills Singapore research head Alan Cheong highlights that three projects that have done well post-TDSR due to relatively attractive pricing - The Inflora in Upper Changi, The Tembusu in Tampines Road, and Duo in Ophir Road - are coming up on sites that have low historical land cost. These will be exceptions. Most developers have paid top dollar for mass-market condo sites at state tenders and would be loath to price projects below market as this could entail a loss. Another reason prices will be sticky going south is that developers mostly have strong financial reserves. Mr Cheong argues that by now, they have probably realised that they can afford to hold prices of mass-market and mid-tier projects, and still finish developing and selling them out within the five-year timeline from the date of award of the site (to qualify for upfront remission of the 15 per cent additional buyer's stamp duty or ABSD). "If project sales simmer down - after the initial launch hype - to a rate of 2-2.5 per cent of the number of units in a development per month, developers will still be able to sell out their inventory over a reasonable time without resorting to price cuts," Mr Cheong said. He based his prognosis on monthly sales patterns of projects launched following the introduction of TDSR. In any case, developers may be constrained from slashing prices because of covenants stipulated by lenders in their project financing agreements. As for the HDB market, the government has already stated that it will begin tapering supply of new build-to-order (BTO) flats from next year. That should mitigate a potential glut and downward price pressure on the HDB resale market. In turn, this should provide stable support for mass-market private condos. On the demand side, sentiment towards real estate is likely to improve following the United States Federal Reserve's recent pronouncement that short-term interest rates will stay near-zero for a longer time. Taking into account all these factors, along with the cut in the H1 2014 GLS Programme, one could argue that there is a higher likelihood of prices going up than plunging. Of course, there may be some unknown factor(s) that could rock confidence in Singapore's property market. If that happens, price cuts may no longer be met with buyers quickly mopping up supply. For now, however, it may be a little early to roll back the property cooling measures. Dubai is hot property. Dubai is so hot that once again Dubai house prices is the fastest rising in the world. 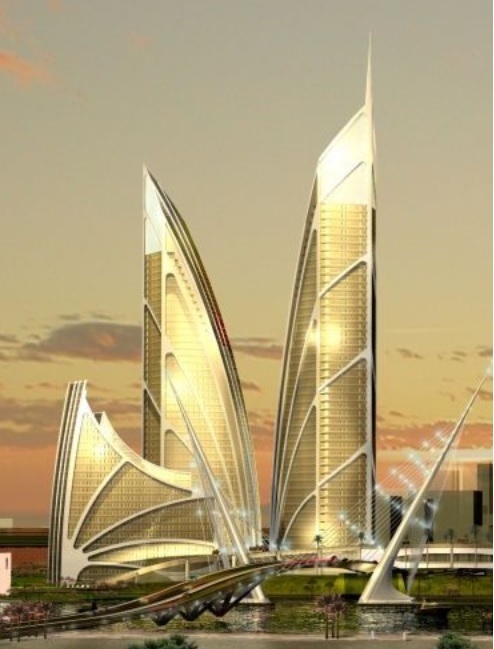 A 28.5% price growth, year on year, ending September 30, 2013, makes Dubai the No. 1 race horse in the world property market. See Knight Frank’s Global House Price Index. The Index shows Dubai house prices surging 11.8 per cent in the past 6 months and 4.5 per cent in the last 3 months. Analysts are anticipating that Dubai and the UAE’s property prices will continue rising in the near future, tying this to the new growth prospects of the Emirate winning the rights to host World Expo 2020. Last year, same quarter, Dubai managed a mere 2 percent price rise, and ranked 23rd in the Global House Price Index, but jumped a whopping 21.7 per cent year-on-year, as investors returned in droves to their favourite property market, in this region and around the world. In Q3 2009, average Dubai house prices was down a massive 47 per cent, landing at the bottom of the Global Price Index Chart amongst the 42 countries charted. Dubai at that time was really down in the dumps, with massive financial loss and huge economic insolvency. This year Dubai’s housing rebound is impressive to say the least. 1. Rapid growth can cause a country’s economic performance to derail, and in dire cases to default on payment, like the sudden 2008 global financial crisis. 2. The pace of economic growth therefore should be measured and handled responsibly. Rapid, unchecked economic expansion can cause hiccups and insolvencies. 3. Strong economies are usually more resilient. These are the last to go under and the first to recover. 4. The same principles can be applied to property investments. Invest soundly in strong economies, vibrant cities, centres of growth, and regions that are politically stable. Sound principles of investment should be your number 1 guide. Global banking giants, Goldman Sachs and Standard Chartered have confirmed that Dubai is not experiencing a property bubble and that Dubai’s recent property price rises are backed by fundamentals, and talks of a property bubble are prematured. Improved fundamentals, increased housing regulations, subdued mortgage growth and low off-plan sales make this price rally substantially different from the 2008 scenerio. In a report, Global Head of Residential Research, Liam Bailey, stipulated that Dubai will see a jump of 10 to 15 per cent in prices in 2014.